These Beautifully handcrafted colourful juttis, are made in genuine leather and are padded with memory foam, making it extremely soft on your feet. 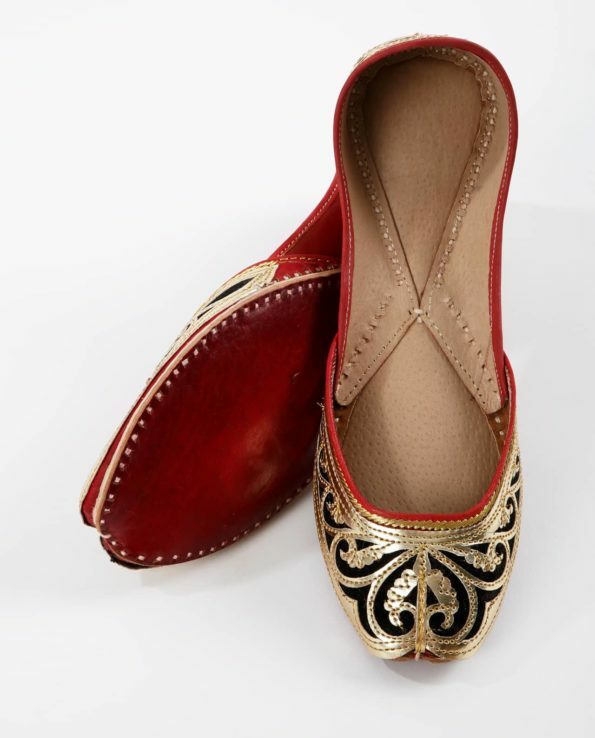 Jutti, was extremely popular amongst the kings and the queens who belonged to the richest era of Indian history. 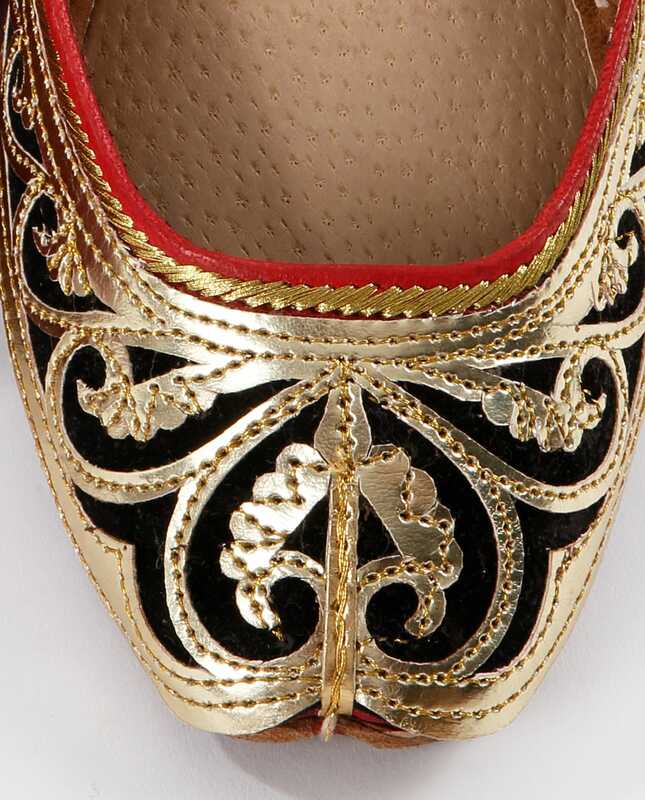 Construction of one pair of juttis involves people from different communities: the “Chamars”, who process raw hides, the “Rangaars”, who colour it and the “Mochis”, who assemble the pieces together and do the final stitching and embroidery. A Jutti has no right or left distinction, any of them can be worn on any foot. Dry Clean only. Keep your leather products away from moisture, if at all exposed to moisture, dry them in sun for 2 to 3 hours.